For thousands of years before the arrival of European colonists, Native Americans relied on hunting for nourishment, clothing, tools, and trade goods. While indigenous women were primarily responsible for agriculture and housekeeping, the men generally busied themselves with hunting and warfare. This division of labor was criticized by many early European observers, who believed hunting to be an activity of the leisure class, and viewed Native American men as lazy. However, this European ideal of the “hunter-aristocrat” quickly changed colonists as settled the New World. European settlers soon came to value wild animals for their meat, hides, and furs. Though the meat and skin were the most prized products of the hunt, settlers found a variety of uses for the remaining parts of the animals. Animal fat could be rendered to make candles, lye, and grease. Brains were used as tanning agents, and feathers became stuffing for pillows and mattresses, and for writing quills. Colonial hunting laws were fairly liberal, and rarely enforced, so wildlife quickly declined around European settlements, as Native American, European, and enslaved African hunters all pursued game. Concerns about the decrease in the animal population encouraged many colonies to reassess their hunting laws. Several colonies prohibited the most destructive practices, such as ring-fire hunting and night hunting by firelight. Ring-fire hunting was not without danger, as hunters were known to accidentally shoot one another in the chaos and confusion. Nevertheless, it played an important role in the reproduction cycle of certain forest ecosystems, in particular that of the longleaf pine. This species, which once dominated Southern forests, is a fire-climax community, resistant to and dependent upon fire. It is thought that the land-use practices of Native Americans helped to shape longleaf pine ecology. Night hunting by firelight was less destructive than ring-fire hunting, but it also met with criticism. This method, which resembles the modern practice of “spotlighting,” took place at night and involved two hunters. One – usually a slave – carried a skillet of glowing embers, while the other walked in front watching for reflections from animals’ eyes. Animals caught in the light became transfixed, providing the hunter with an easy shot. This method was condemned because, in the darkness, hunters occasionally mistook livestock for wild game. 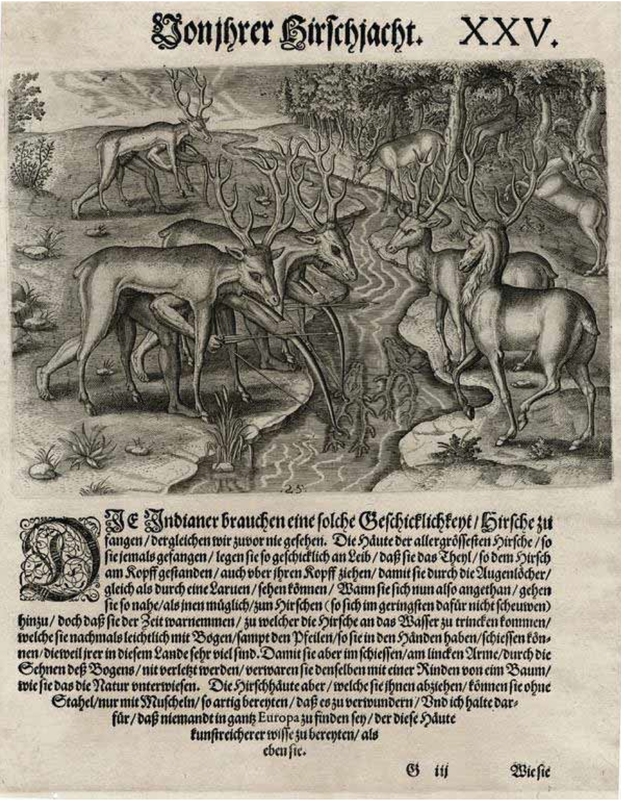 In an attempt to alleviate pressure on deer populations, Southern colonies prohibited hunting during the months when females carried and cared for their young. Virginia passed a deer season in 1730, and North Carolina followed suit in 1745. However, colonial governments lacked the resources to enforce these laws; most hunters ignored them and continued, unchecked, to provide for themselves and their families. Ideas about hunting began to shift following the American Revolution, as traditional European concepts regarding hunting reemerged, placing greater emphasis on its recreational aspects. Many Southern elites relied on agriculture and slave labor to produce their wealth, and were able to hunt for amusement rather than from necessity. It was also during this period that the sporting press rose to prominence. Periodicals such as the Baltimore-based American Farmer, began providing “literate Southerners with ‘authoritative’ information about effective hunting methods and ‘proper technique’ (Bathed in Blood, 14). The sporting press became a medium through which wealthy white Southerners developed the image of the aristocrat-hunter, or the sportsman, as popular Southern icons. “The Hunters.” An ominous-looking group of backwoods pothunters. From Porte Crayon [David Hunter Strother], “Virginia Illustrated: Containing a Visit to the Virginian Canaan, and the Adventure of Porte Crayon and His Cousins (New York, 1871), 173. A hunter’s ability to provide his family with meat had traditionally signified masculinity. However, the hunter who obeyed the rules of sport rather than necessity embodied a new, polished notion of manliness that reflected class and wealth. These differing images created a divide between the aristocrats who hunted for recreation, and the poor, white backwoodsmen who lived in relative isolation and hunted out of necessity. In an effort to distinguish themselves from poor whites and slaves, members of the Southern elite reevaluated previously acceptable hunting methods, such as baiting the ground with corn or setting out salt licks, and shooting sitting wildfowl. Instead of firing at birds whenever possible, for example, they would only shoot birds “on wing,” and only with a shotgun. Yeoman whites and slaves who depended on game for subsistence or income rarely shot birds in flight. 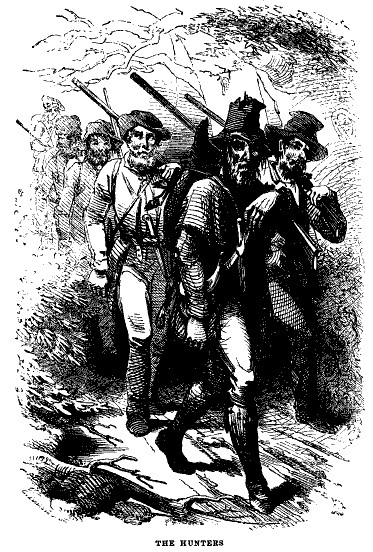 Many of these individuals hunted with rifles, which were more versatile and required less shot and powder, making them a cheaper alternative to the shotgun. It was a challenge to shoot a flying bird with a shotgun, but it was nearly impossible to bring down a bird “on wing” with a rifle. “Snipe Shooting.” Hunters shoot snipe on wing with retrievers. From Gleason’s Pictorial Drawing-Room Companion, 1853. 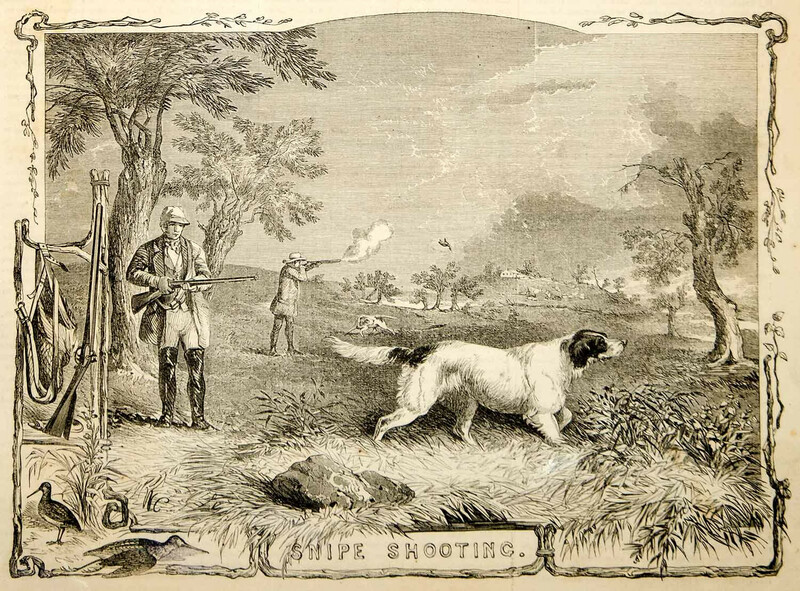 Although many wealthy Southerners complained about the hunting habits of poor whites, others valued them for their knowledge of the land and wild game. Not only did these yeomen make effective hunting guides, they also served as slave patrols. This tradition of utilizing the ability of the backwoodsmen carried into the twentieth century. Bernard Baruch, for example, employed the Caines brothers, longtime white residents of the Waccamaw Neck, as hunting guides, after he caught them poaching on his property. The Caines Brothers at Hobcaw Barony from Between the Waters on Vimeo. The depletion of game continued as hunters ignored colonial hunting laws. Advances in firearms made hunting easier and more efficient, and the development of the steam engine and the steam boat allowed for quick transport to wildlife-rich rural areas. These stressors, combined with the environmental impact of increased settlement upon habitat, accelerated the exhaustion of wild game. Most colonial whites preferred hunting bear and deer, but as these animals declined, hunters made the slow shift to smaller animals such as wild bird, fox, lynx, and racoon. As these species also became depleted, some wealthy landowners sought to preserve game by transforming their land holdings into private game reserves or hunt clubs. These conservation efforts had limited success, as it was difficult to prevent poachers from trespassing, and over-hunting of wild game continued. It remained relatively unchecked until the passage of federal restrictions on taking wildlife in the early decades of the twentieth century.